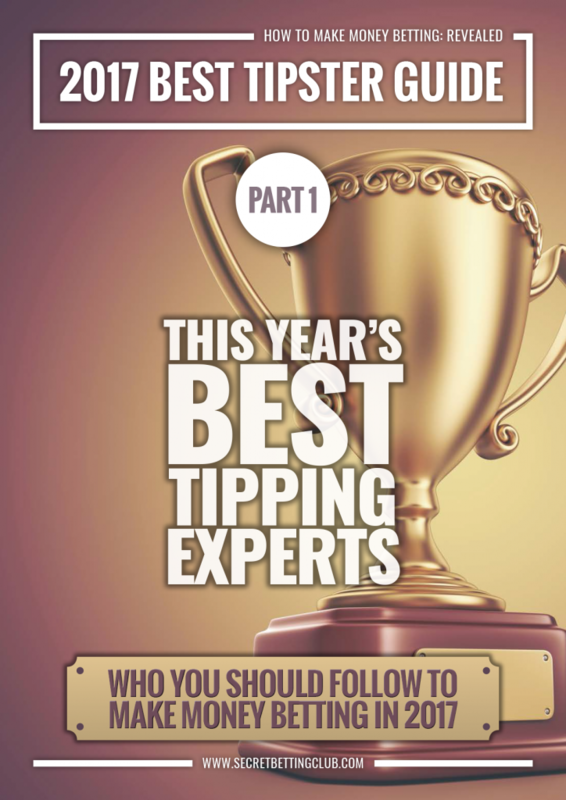 Part 1 of the 2017 Best Tipster Guide has just been released featuring detailed, independent reviews on 3 top tipsters to help you make money betting this year. Compiled by the tipster experts here at the Smart Betting Club, its release coupled with Part 2 (due for release later this year) contains everything you need to know to get started betting profitably. With several significant tipster discount deals for you to enjoy (worth £269 in total) plus full access to the 2016 Best Tipster Guide – its our best ever value-for-money betting package! Available now via the very popular Platinum ‘Pro Punter’ membership – by signing-up today you can also save £35 on the cost of a subscription. The New Racing Tipster Up 1094% Bank Growth In 17 Months – Including 406% Growth Over The 2nd Half of 2016! Exclusive Review – get in first as we expect this tipster to be very popular! The Football Expert Up 13.6% ROI Since 2010! You only pay once you hit a guaranteed profit target – extremely punter friendly and hugely popular! 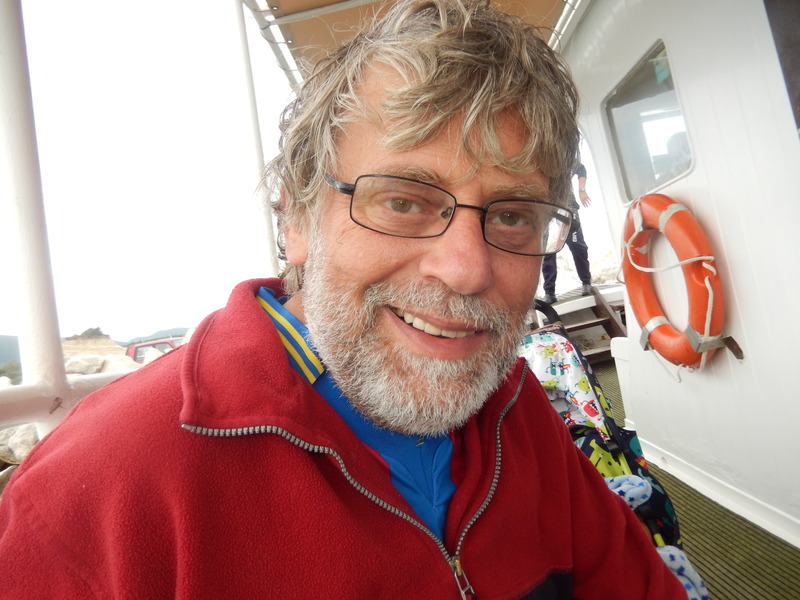 Voting Now Closed – Thanks To All Who Took Part! Your chance to name and shame the bookmakers you like or loathe the most! Public voting has now opened for SBC’s Tipster & Betting Awards, and we want your help in deciding the best (and worst) of the betting world from the past year. To vote simply click here – it should take you no more than 30 seconds of your time and best of all by doing so, you will enter a prize draw to win a years membership to the Smart Betting Club. There are several reasons why your vote is important, least of all the fact that by voting, you can enter a special prize draw to win a Platinum ‘Pro Punter’ SBC Membership (Worth £119.99). Beyond this special prize, the SBC awards are your chance to help us highlight those websites and bookmakers doing something right by punters. Perhaps it’s the bookie offering the best odds or accepting winners, or maybe it’s the odds comparison site you couldn’t live without. This year you can also nominate your worst bookmaker (it promises to be a competitive category) to help us expose and shame the firm that peed you off the most! Maybe they restricted your stakes, closed your account or simply offer the worst odds and worst service going. If so we want to know who they are! We will be publishing the results from the awards next month and handing out special rosettes to the winners and losers. Although we don’t expect the winner of the Worst Bookmaker award to be too pleased about it! We are now almost halfway through January, a time of year that traditionally sees most new year’s resolutions start to unravel. Whether it’s missing a few gym sessions or nibbling on the chocolates you hid after Christmas, the chances are that now we are nearly 2 weeks into 2017, things might be starting to slip. If your new year’s resolutions involved improving your betting profits for 2017, then mindful of how tough it can be to keep them up, I have some practical advice to share today with 5 Successful Punting Betting Do’s & Don’ts. It’s particularly relevant for those of you looking for help with new year’s betting resolutions, although also useful advice for any time of year too! Hopefully it can help make a difference for your own punting and keep you encouraged towards the goal of making money betting in 2017. One of the biggest emotional hits from betting can be found in watching a bet you have placed as it happens. Whether it’s following a football game on TV or reading live commentary text on a horse race you have a bet on – nothing quite gets the heart rate going, especially when it’s a close run thing. The problem here is that such emotions do nothing to help your rational thinking or your betting. It can quickly become addictive to seek the ‘hit’ that a winning bet brings about and before you know it, rather than looking for value bets, you simply start to look for winners (whatever the odds). Never a good strategy for any punter! Coupled with the fact that studies have found that a losing bet hurts you twice as much as the enjoyment gained from a winning bet and you have a recipe for disaster. Yet if you follow a good tipster, then there is simply no need to watch every bet live as you are not the one selecting it. Trust the tipster to select the tip, place it and check the result at the end of the day. At a stroke, you will find your betting is that much easier to handle – win or lose! 2) Don’t jump in at huge stakes! It’s important to set rational, achievable goals from your betting and to not feel pressure to make huge gains immediately. Let’s be realistic – you are not going to become a full-time professional punter overnight. It takes time, experience and an understanding of just who the right tipsters are to follow to fit your lifestyle and preferences. Yet, I still hear from the occasional new punter who jumps right in at big stakes with a new tipster. For them it’s all or nothing and they simply want to get rich quick. Very often they got stuck in without proper preparation, whether it’s by setting up with the right betting banks, an understanding of how the tipster works or simply betting experience in how to handle winning and losing runs. Their quest to get rich quick can easily unravel as they struggle to handle the pressure of betting at huge stakes as an inexperienced punter. It’s always very sad to see and as much as I try to help, sometimes my advice falls on deaf ears. Instead, my suggestion is to start slowly, choose a few tipsters that suit your profile and to stake at affordable levels. The goal is to gradually build up your profits over time. Rome after all was not built in a day! Every new year we see a whole host of new ‘gurus’ promising quick-fixes, cheats and easy solutions to help with our resolutions. Sadly, in 99% of all cases, these ‘gurus’ are touting nothing but hot air. It’s a major problem for many punters, especially those following many social media tipsters who promote accumulator challenges. These tipsters often make their profits from a share of the losses you suffer with their recommended bookmakers. It’s in their interests for you to lose, not win. Instead, forgot all about quick-fixes. They don’t exist and these gurus prey on our vulnerabilities. Betting wise – my advice is focus on the top tipsters as featured in our Hall of Fame and the latest Tipster Profit Report. They might not promise you a life changing 10-leg winning acca, but they will make you steady, reliable profits long-term. Just as a good Personal Trainer will often act as your fitness sounding-board to keep you on track, so I firmly recommend having a ‘betting mate’ to do the same. By this, I mean somebody trusted such as a good friend, relative or even partner who you are accountable to for your betting. If you know you must run all your major betting decisions by somebody you trust and who has your best interests at heart, it will stop you making rash (and often incorrect) decisions. Not only this but they can also help keep you motivated in tough times. 5) Do switch off at the end of the day – stop checking bookmaker account balances and results! Betting in the modern world can be all-encompassing with so many markets to bet on and so many ways to constantly check your progress. With your mobile phone or tablet, it’s all too easy to keep checking your bookmaker accounts and bets every hour of every day just to see how much progress we have actually made. It might not be your bets but your twitter feed or live scores app – either way you are constantly ‘switched-on’ to betting. Yet, this gives you no respite or breathing space to focus on something else instead and recharge your batteries. This is especially important at the end of the day when your brain gets tired and rational thinking becomes that much harder. Coupled with the emotional strain if too heavily involved in checking each of your bets as they happen, it can be too much to handle for some. My advice is to do whatever it takes to walk away from your betting once it’s done. Whether it’s simply turning your phone off or taking the dog out and playing with the kids….anything and everything to stop you thinking about betting. After all your betting is going nowhere until the morning. Switch off, recharge, relax and come back to it fresh another day. As helpful as my 5 tips might be, one of the best ways to make any new year’s resolution a success is in having proven experts to guide you along the way. At the Smart Betting Club, we have over 11 years experience of helping people make money betting and have plenty on offer to help you make 2017 your best punting year yet. So if looking for a betting ‘Personal Trainer’ why not give us a try as with our 90-day risk-free money back guarantee you have nothing to lose and everything to gain. After all, we might not be able to make you fitter or stop you eating too much chocolate, but we know a thing or two about making money betting! Following on from the 2 Free Betting Magazines I have shared with you over the past week, I have now also prepared a FREE sample ‘Tipster Profit Report’ for you to enjoy, simply sign up for a free membership to download this report. My team and I produce a new Tipster Profit Report several times every year to help keep our members on top of just which tipsters they should follow to make money betting. This is because once we review a tipster, our work does not end there. Far from it. Instead, we continually proof, track and monitor the best tipsters we review and feedback on their ongoing performance in each Tipster Profit Report. With around 55 tipsters featured in each report, you can view how they compare against each other, who is in form, what kind of profit is being made and most crucially of all – who to follow with your own money! Because when it comes to reporting back on the results from genuinely profitable tipsters – we have you covered! 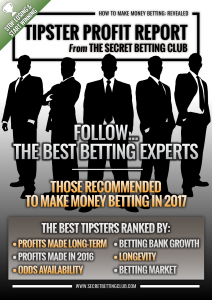 Best of all – as an SBC member you can enjoy access to several Tipster Profit Reports each year. To help with this we breakdown the tipsters into different categories so you can easily compare and contrast them. The goal as ever is to help you make money betting, whether that is to help you as a total newcomer or to help build on existing profits you are making. So, if you enjoyed this sample Tipster Profit Report, you can pick up a copy of the latest report with a Smart Betting Club membership. All of which comes with a risk-free 90 day money back guarantee.